We bid our 2018 Summer Interns a fond farewell last week with a delicious lunch from Firebirds and a yummy cake. Each received a pen and pencil set engraved with their name. We appreciate their hard work during their internships and hope they found their time with our firm rewarding. 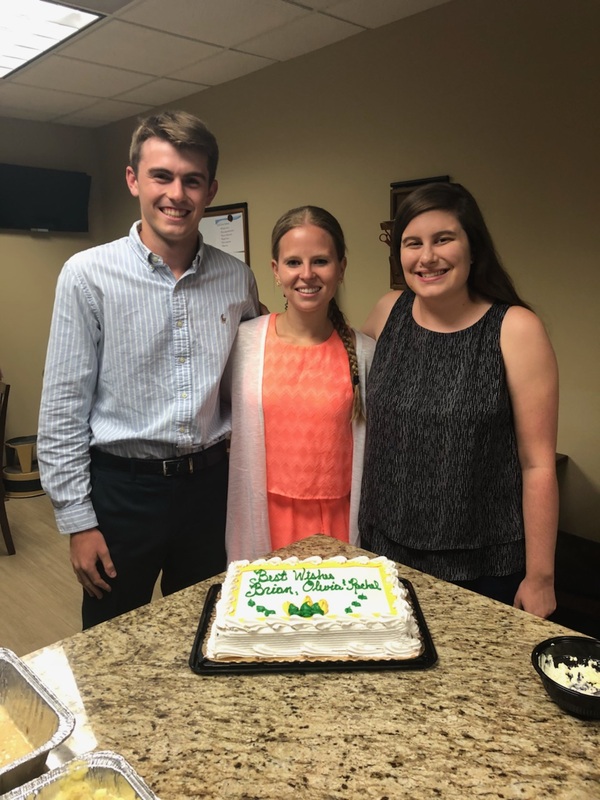 We measure the success of our internship program when our interns report that, after completing two months with us, they now have a real-life understanding of what it’s like to work in a local CPA firm. Best wishes to Brian, Olivia, and Rachel with their senior years at UD!